The Samsung 55MU8000 is a Series 8 LED TV from Samsung that features the most high-end features that the company has to offer. 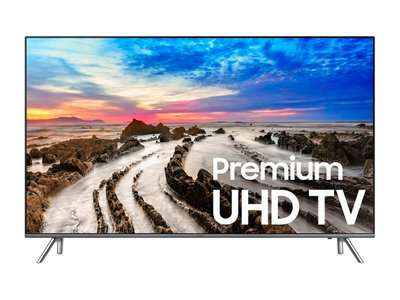 This flat UHD LED TV is equipped with a range of useful features and functions such as the Samsung Smart Hub, Smart View, Peak Illuminator, and Crystal Clear display technology. The HDR1000 further adds to the quality of the display enabling it to reproduce images in a life-like and flawless manner. The image quality is breathtaking with the Samsung 55MU8000 and it has been designed for minimalism. The Clean Cable solution coupled with Samsung One Connect enables you to reduce the clutter of wires around the LED so that you can sit back and enjoy a comfortable viewing experience on the Samsung 55MU8000. The price is not available right now.